Soak a cedar grilling plank in water for 2 to 4 hours. About 20 minutes before you're ready to grill, preheat grill to medium. 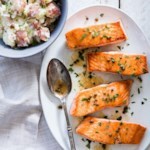 Season salmon with ½ teaspoon salt and let stand while the grill preheats. 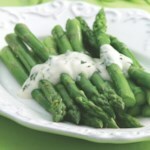 Meanwhile, combine yogurt with 1 tablespoon oil, orange juice, tarragon and the remaining pinch of salt in a medium bowl. Whisk vigorously until all the oil has been incorporated into the yogurt. 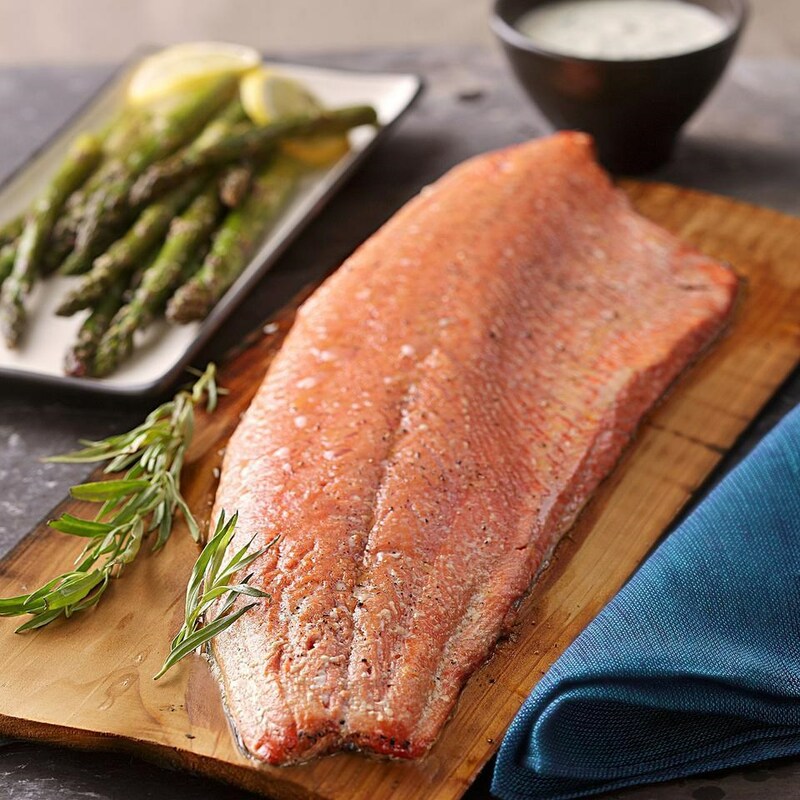 When ready to grill, brush the salmon with the remaining 1 tablespoon oil. Place the soaked cedar plank directly over the fire for about 1 minute. Using tongs, turn the plank over to expose the slightly charred side. Place the salmon fillet skin-side down on the plank. 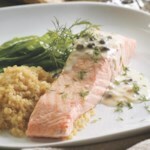 Cover the grill and cook until the salmon is easily flaked with a fork, 7 to 10 minutes. 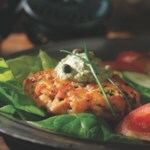 Remove the entire plank from the grill and serve from it or transfer the salmon to a serving platter. Serve the salmon with the sauce. Make Ahead Tip: Cover and refrigerate the sauce (Step 3) for up to 1 day.